Improves night vision - be safer and more confident when driving at night! 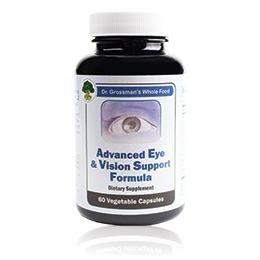 Supports healthy blood circulation within and around the eye. 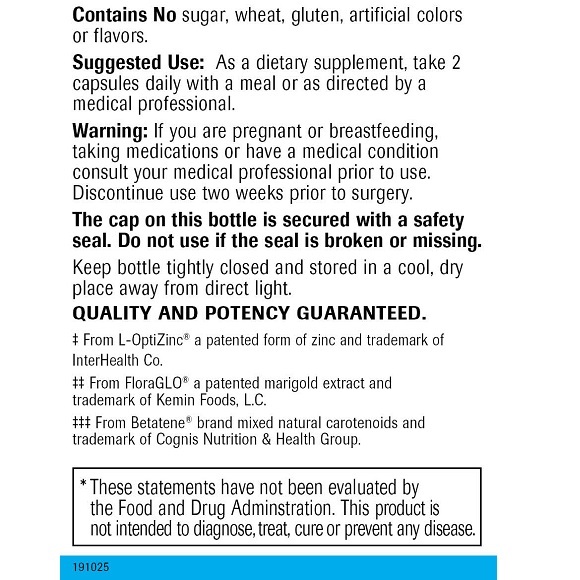 The patented and trademarked FloraGlo® lutein, as well as the zeaxanthin contained within, helps keep your eyes safe from oxidative stress and damaging high-energy blue light. Lutein and zeaxanthin work synergistically to help protect the macula, retina and lens of the eye. Lutein has also been shown to help with glare tolerance. We use a European phytopharmaceutical company to ensure the highest quality bilberry extract standardized to 25% anthocyanosides. 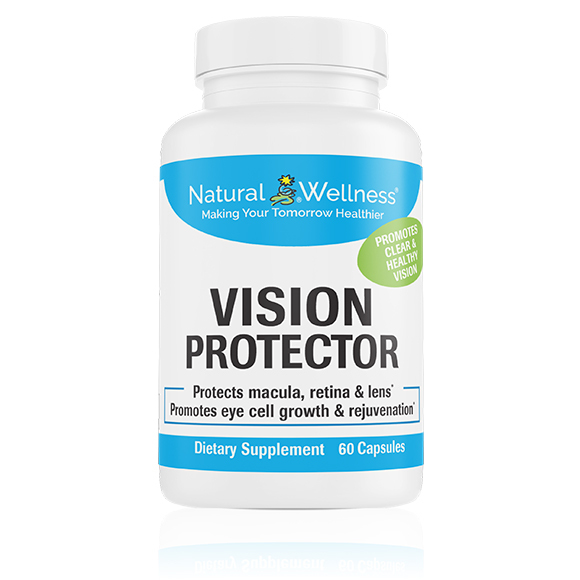 This provides antioxidant activity, improved vascular circulation and support for healthy connective tissue formation within the eyes and supporting structures - thus supporting retinal and overall eye health. Billberry is also known to aid in night vision and was popular among British WWII pilots who benefitted from consuming bilberry to aid in night missions. Lycopene and mixed carotenoids are known as powerful antioxidants to protect your vision from oxidative stress. Betatene® mixed carotenoids provides beta-carotene, a pre-cursor to Vitamin A, and other carotenoids which support and protect healthy vision. Carotenoids contribute by supporting vascular health and combating oxidative stress. L-OptiZinc® brand zinc is the best absorbed form of zinc and is essential for healthy vision and antioxidant support. It also enables Vitamin A to create melanin, a pigment that protects the eyes from damaging light. Studies have shown that proper levels of zinc can help support and enhance night vision. 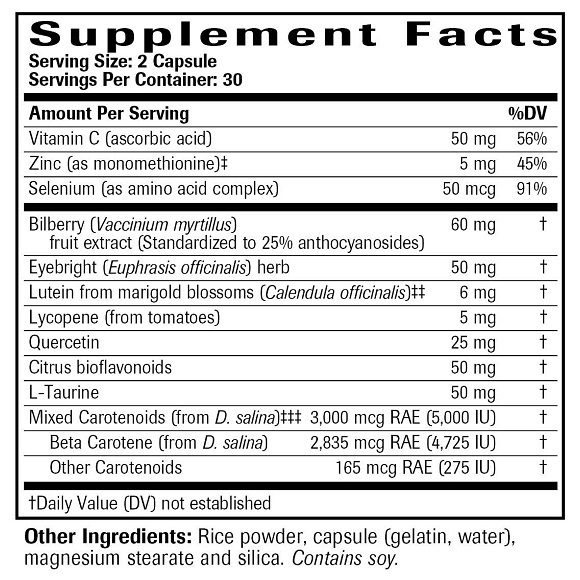 Vitamin C, selenium, bioflavonoids, and quercetin have been added to make this formula complete. They provide antioxidant support as well as support for the structure of the eyes and supporting blood vessels. Our Vision Protector formula was designed to provide complete nutritional support to nourish and protect your eyes and their supporting structures, including the macula, retina and lens. No matter your age or condition of your eyes, Vision Protector will support your ocular health. Using superior, trademarked ingredients, Vision Protector was formulated to give you the nutrients, vitamins and minerals needed to keep your eyes healthy and eyesight clear. Those who develop vision issues often do so after years of declining ocular health. Age Related Macular Degeneration (AMD) is a common eye condition and a leading cause of vision loss among people age 50 and older. Age Related Macular Degeneration causes damage to the macula, a small spot near the center of the retina that is needed for sharp, central vision, which lets us see objects that are straight ahead. 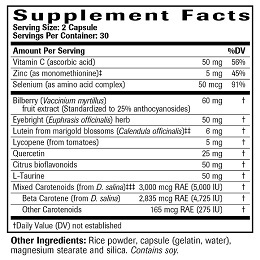 Researchers at the National Eye Institute found that daily intake of eye and vision supplements can slow progression of age related macular degeneration in people who have intermediate and late stage age related macular degeneration. 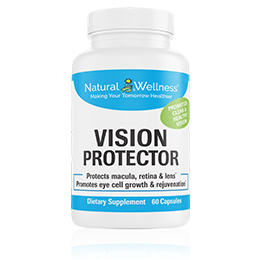 Vision Protector contains specifically selected ingredients to support the eye as a whole while also focusing on the macula and the blood vessels within and surrounding the eye to help keep your vision sharp, clear and focused. The visual system is a complex system that depends upon various nutrients and cofactors to support the numerous biochemical and physiological processes needed for healthy vision. The eyes are consistently exposed to oxygen, damaging light and toxins, which can damage your vision. Disease, age, poor circulation and genes may further complicate one's ability to see clearly and progressively get worse over time. An estimated 25.2 million Americans report having vision problems. 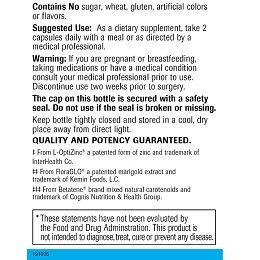 As a dietary supplement, take 2 capsules daily with a meal or as directed by a medical professional. Vision Protector is MANUFACTURED in the USA to meet FDA strict current Good Manufacturing Practice regulations (cGMP).